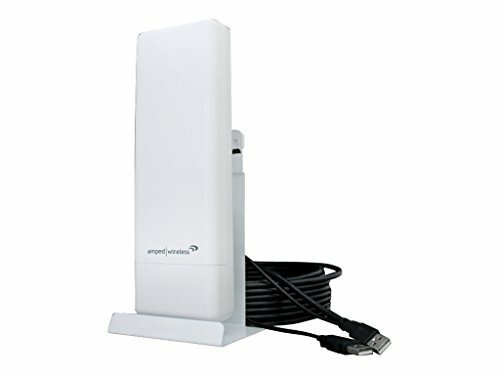 The Amped wireless High power Wireless-N 600mW Pro USB adapter allows your Mac or Windows laptop or desktop computer to connect to Wi-Fi networks from extreme distances. The UA600EX is a High performance wireless network adapter that features a 600mW wireless power amplifier in addition to a High gain directional antenna to achieve up to four times the wireless range of standard wireless networking adapters. The UA600EX is enclosed in a weatherproof housing and includes a heavy duty 26.5 Feet USB cable that makes indoor or outdoor installations easy. The professional High power Wireless-N adapter can be mounted on walls, poles or on any flat surface for use in homes, offices, boats, recreational vehicles and more.